Can’t get your eyes open in the morning? Hit a wall in the afternoon? If you’re feeling tired and down and would like a dose of energy and motivation, nature has you covered. There are plenty of natural energisers that can help boost your body’s energy levels. 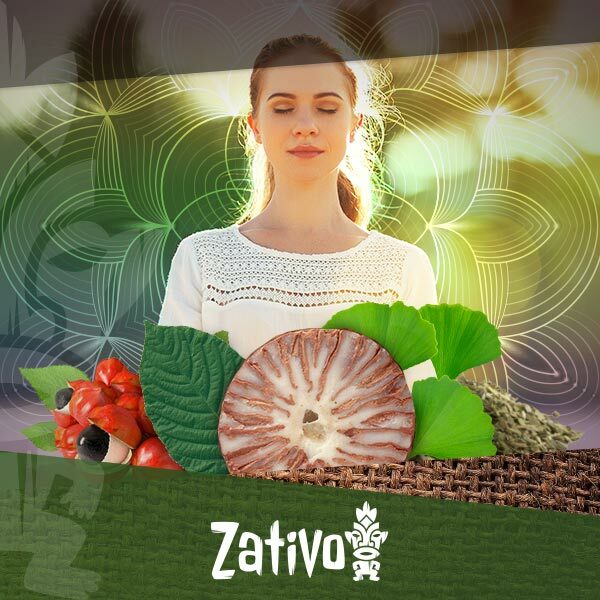 So, before you reach for that quadruple shot of espresso that would just make you shaky, check out our 7 natural energisers that can invigorate your body and mind. Kratom is a tropical evergreen tree that is related to the coffee tree. It grows in Thailand, Indonesia, Malaysia, Myanmar, and Papua New Guinea. You can take kratom as an extract that comes in capsules or powder form, or use the leaves to chew on or to make into a tea. Kratom leaves can also be smoked. Of all kratom varieties, Thai kratom is one of the most popular, with some of the most enthusiastic followers. They say that this strain has a more positive and uplifting effect than other varieties. People in Thailand have long used wild kratom strains to provide them with energy and clarity so they don’t get tired during the day. Because of the energising effect, it is well-liked among manual labourers. Here in the West, increasingly more people are enjoying kratom as a natural energy booster and an alternative to coffee, without the negative effects. Thai kratom is particularly energising and stimulating, and its effects are longer-lasting than caffeine and other stimulants. When you take it in higher doses, kratom also has relaxing properties and even a mild psychoactive effect. Yerba maté is a shrub native to South America. It can be found in Paraguay, Argentina, Southern Brazil, and Uruguay. The natives have used the dried leaves and twigs of the yerba maté plant since ancient times to prepare maté tea, which is a very popular beverage all across South America. Yerba maté has a similar effect to coffee, and also contains about the same amount of caffeine. It is energising and uplifting, but its effect is more balanced. In addition to caffeine, maté also contains vitamins and other beneficial nutrients and minerals. Moreover, it is thought to provide a variety of therapeutic benefits. What makes maté different from coffee is that it doesn’t just give you energy, but has a relaxing and soothing effect as well. Unlike when you drink coffee, maté doesn’t cause a crash or make you jittery and nervous—even if you drink lots of it. The betel nut, which is the seed of the betel palm tree, is popular in Southeast Asia, where people enjoy it as a natural energiser. The exact origins of the betel tree are not known, but the use of the betel nut as a stimulant dates back thousands of years. In India and Pakistan, there are many people who enjoy betel nut as part of their daily ritual. Chewing betel nuts has a stimulating, refreshing, and invigorating effect. One side effect of the nut is that it produces lots of saliva. This is why you can easily spot a betel nut user, since they’re frequently spitting on the ground. Chewing the betel nut on its own has almost no effect; this is why you need to take it with a small amount of quicklime (calcium oxide). Only then will the active compound in betel nut provide its full stimulating effect. Although the traditional way to consume betel nut is chewing, you can also grind the nuts and drink them with some water. Some users say that you can also smoke betel nut powder for an energising and stimulating effect. In traditional Chinese medicine, tea made from the leaves of the ginkgo tree is utilised for its therapeutic benefits. It is considered a natural remedy for improving respiratory problems, circulation, and to treat many other health conditions. In the West, Ginkgo biloba is probably most known for its memory-enhancing effect, which has been proven in various studies. Those who have difficulties remembering things often show improvement when they regularly take Ginkgo biloba. In addition to supporting memory and mental energy, ginkgo can also improve your mood and sleep quality, and is thought to help with anxiety and depression. Ginkgo biloba also has an energy-boosting effect. If you drink just two glasses of gingko tea per day, it helps with fatigue and can make you more alert and energetic. The kola nut comes from two trees, the small cola tree and the large cola tree, both of which are native to West Africa. In this region, as well as in Central Africa, the kola nut has long been used for its aphrodisiac and supposed magical properties, and to treat health conditions such as nausea, fever, and morning sickness. The kola nut contains caffeine, which is one of the ingredients that gives it an energising effect. It also contains glucose and starch, so consuming it provides a quick boost of physical energy. Kola nut contains the alkaloid theobromine, which is another natural stimulant that is thought to contribute to alertness and a sense of wellbeing. You can take kola nuts to wake up in the morning and to keep you energised and motivated throughout the day. From the dried kola nuts, you can make kola extracts and tinctures. If you eat fresh kola nuts, they will have a somewhat bitter taste. Where calamus (Acorus calamus) comes from is not exactly known, but it is believed to have originated somewhere in Central Asia. In traditional Chinese medicine and Ayurvedic medicine, calamus (also referred to as sweet flag) has a long history as a natural remedy for sleeping troubles, memory loss, and many other conditions and ailments. Calamus also has an uplifting and energising effect. In Tibet, incense made from calamus are lit to increase concentration and focus. For an energising boost, you can mix one tablespoon of the dried root into a cup of hot water and drink, preferably on an empty stomach. You can increase the dosage if you want a stronger effect. Guarana is one of those natural stimulants that got popular in the West as a healthier alternative to coffee. In India, where it is considered a gift from God, guarana has consistently been used as a natural energiser. Guarana is made from the seeds of an Amazonian vine (Paullinia cupana), which remarkably look like horse chestnuts. Guarana contains plenty of caffeine, up to 5% of the fruit, which makes it one of the strongest natural energy boosters. Guarana also contains several tannins, which make the caffeine in it last longer compared to coffee. Although guarana is potent, it does not have the negative effects of coffee and doesn’t make you jittery. It gives you a more balanced boost that is easier on your body. It also works as a mild antidepressant and lifts your mood. Some say it has aphrodisiac effects. Traditionally, guarana seeds are ground and then mixed with flour. This mix is then fermented and dried. Small amounts of the dried loaf are then cut to prepare a tea. But you can also get guarana tea, canned drinks, or chewing gum made with guarana extract.